In Disney’s live-action film Maleficent, in theaters May 30th, Academy Award-winning actress Angelina Jolie adds depth and humanity to the titular character, one of Disney’s most iconic villains. 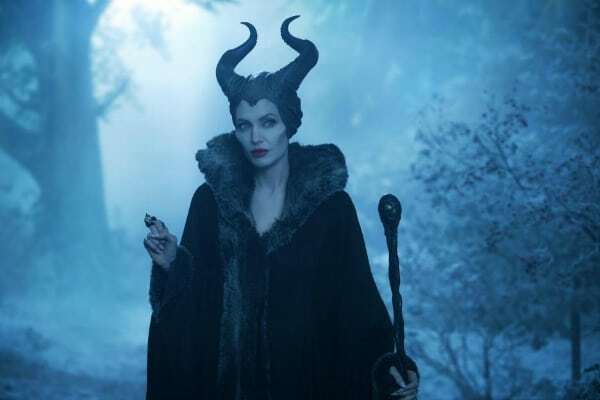 The script, written by Linda Woolverton (Beauty and the Beast, The Lion King, and 2010’s Alice in Wonderland were also penned by her), tells the origin story of Maleficent, Mistress of All Evil. The morning after having the opportunity to see Maleficent, a film one could say I have been waiting for since I was a little girl and became fascinated with the villainess, our group of twenty-five bloggers was given the incredible gift of sitting down with Angelina Jolie to discuss her transformation into Maleficent, her daughter’s onscreen debut as young Princess Aurora, and balancing an acting career while raising a family and continuing her humanitarian work. Although my heart was racing as Ms. Jolie entered the room at the Four Seasons in Beverly Hills, she set the tone for the interview that followed with a gentle softness and approachability. Inarguably one of the most powerful and influential women in Hollywood today, Ms. Jolie is incredibly down-to-earth, someone I would easily want to spend more time with talking about any number of topics. Ms. Jolie is well known for her roles in action films and dramas specifically for an adult audience, although she has done voice work in several animated films that more widely appeal to a younger audience. Maleficent is her unforgettable debut in a live-action film that covers a wide demographic, ranging from young children around the age of seven (or younger, depending on the child) to adults who grew up loving the animated classic Sleeping Beauty. “I was just so moved by it,” Ms. Jolie said of Woolverton’s script. “I didn’t really identify with the princesses,” she revealed. “I was fascinated by her…it’s like a little kid seeing Marlene Dietrich for the first time. It was like seeing this elegant, powerful woman who seemed to be having such a great time…so I was a bit fascinated with her,” Ms. Jolie said in regards to the character of Maleficent. At first, Ms. Jolie was concerned as to how Linda Woolverton could write a story about Maleficent that would make audiences have empathy for a woman who has cursed a baby. “I think she did an extraordinary job,” Jolie said of Woolverton’s script. 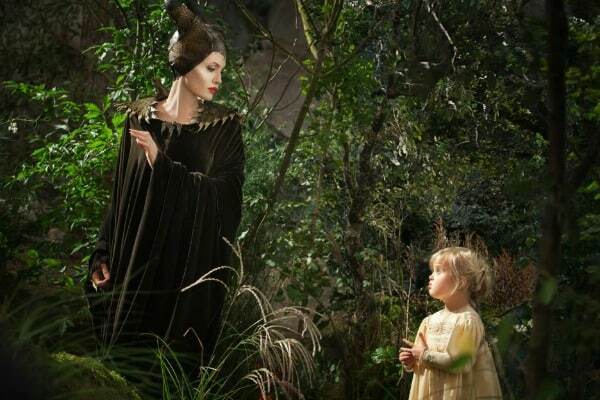 To physically transform into Maleficent, Ms. Jolie spent about two and a half hours each day in hair and makeup. The headpiece that Ms. Jolie wears in the film has the appearance of looking heavy, but “they worked so hard to make it not heavy. My hair was in these really funny little, little buns…my hair was used as kind of the thing that held the horns on…And then they also had detachable horns, partially for weight, and also because they kept knocking myself out.” With the horns on, Ms. Jolie stood at about seven-and-a-half feet tall. Ms. Jolie told us about a conference in June called PSBI that will be held from June 10th to the 13th in England. The summit will be open to the public, and its focus is on ending sexual violence in conflict. If you are interested in becoming involved or even in attending the conference, follow the hash tag #TimeToAct on Twitter, like End Sexual Violence in Conflict on Facebook, and follow the UK website for more information. 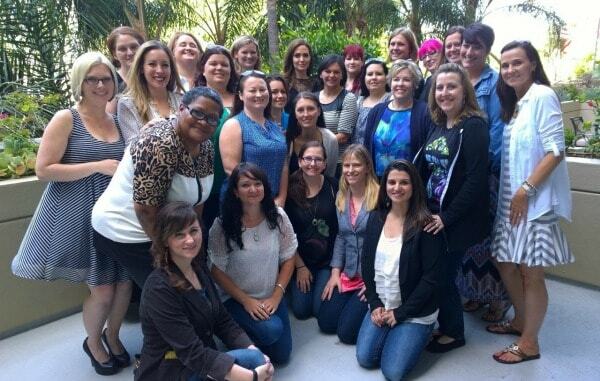 Disney’s Maleficent is rated PG and opens in theaters everywhere May 30th, 2014. Get connected with the film on Facebook and Twitter. Wow what an experience for you! I so want to watch this when it comes out! Wow that must have been exciting. The Movie sounds like something I would want to see. Both Ms. Jolie and Brad Pitt seem extremely well-rounded and intelligent. I enjoy hearing interviews with them and learning about their works. While I wouldn’t have first thought of her for this role, she seems perfect for it. 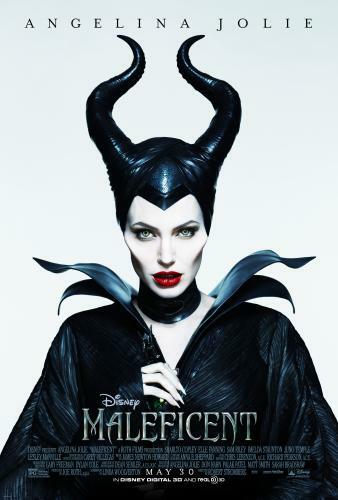 In the previews, she transforms into Maleficent. To hear she actively sought the role is an added bonus. I am so excited to see this and I love that her daughter is the young princess! I cannot wait to see this movie! Love Angelina Jolie! I cannot wait to see this movie ! It looks really good ! I can’t wait to see this movie!! I just love AJ! Thank you for sharing your discussion with Angelina Jolie and giving us a behind the scenes look at the movie and the actress. Very interesting. This movie will be a big hit for sure and too bad Angelina Jolie is not in more films! Looking forward to this one. Been years since I’ve watched anything Disney.Actually I don’t think I’ve sat thru an entire Angelina Jolie film. I really admire Angelina for her humanitarian work and this movie looks really awesome! I can’t wait to see this. Thank you for sharing. Wow! How fortunate are you? Incredible experience I bet! Thanks for the write up! Wow! She is one incredible and inspirational woman! I adore her! Really beautiful blog post!